Greg Kahl (left) was among several U.S. Postal Service carriers who helped collect and make deliveries to the pantry. 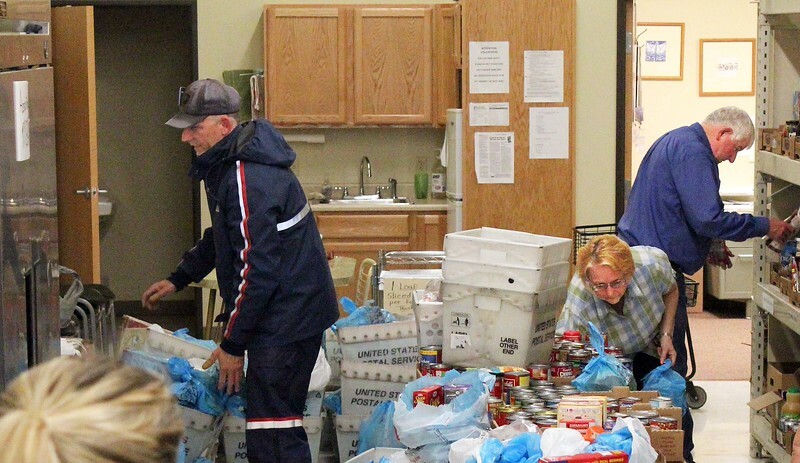 Spearfish Food Pantry volunteers Marilyn Halse and Bob Oliver are at right.